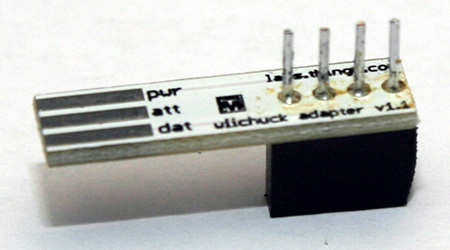 The WiiChuck is a inexpensive adapter that allows you to connect a "Nintendo Wii Nunchuk Controller" or the "Nintendo Wii Classic Controller" to a microcontroller. 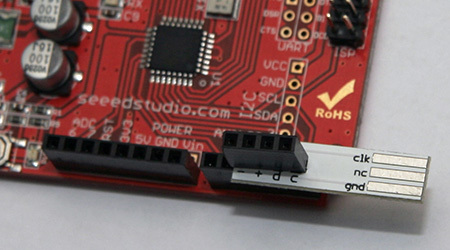 It was developed by Tod and can be bought from many different retailers, like SparkFun or Seeedstudio. I prefer the unpopulated version, because I like to use a stackable header. 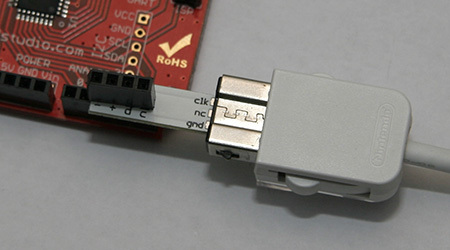 The communication with any of the Nintendo Controllers pretty easy, because they use the I2C protocol. 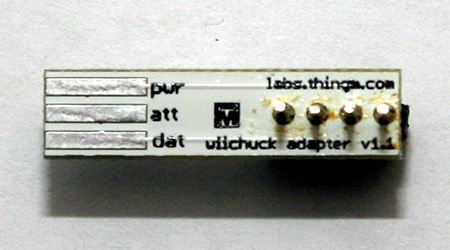 There is a lot of information on the WiiBrew site.